Some misconceptions have spread as mindfulness moves from the monastery to the middle-class home. 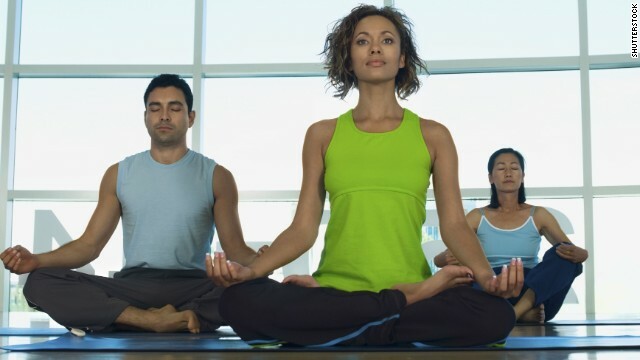 (CNN) - Mindfulness meditation is a huge phenomenon – and a multibillion-dollar industry – in the United States. It’s being used to help soldiers deal with post-traumatic stress disorder, to assist schoolchildren with attention difficulties and to bring stress relief from the hospital bed to the boardroom to the bedroom. In fast-paced, multitasking modern America, mindfulness is used both to take a vacation from our hectic lives and to help us manage ever more work and stimulation in a mindful manner. This mindfulness movement is diverse, but it traces back to Buddhist awareness techniques, especially as promoted by UMass Medical School researcher Dr. Jon Kabat-Zinn. Essentially, mindfulness is a technique of open awareness without judgment, which allows the meditator to observe their physical and mental actions and reactions without attachment or aversion. Once upon a time, mindfulness meditation conjured up images of an orange-robed monk with a shaven head, sitting quietly somewhere in a jungle cave. Whenever a foreign practice becomes mainstream, naturally, some confusion occurs. Here’s a list of four common misunderstandings that have appeared as mindfulness spread from the monastery to the middle-class home. We're heading to Rishikesh in India, which is considered the yoga capital of the world. (CNN) Nestled in the foothills of the Himalayas, in the northern Indian state of Uttarakhand, sits a magical place ripe for exploration. It’s called Rishikesh, and for the next two weeks it will be our spiritual playground. I am going there thanks to a religion reporting fellowship, and I’d like to take you with me. A holy spot for Hindus, Rishikesh is also a destination for Westerners hungering for a different and deeper kind of sustenance. Among the most renowned Rishikesh searchers: The Beatles, who came here in 1968 to study Transcendental Meditation with the Maharishi Mahesh Yogi. It’s dotted with ashrams. Painted holy men roam the streets and sit in nearby caves. There are sunset ceremonies along the sacred Ganges River, and yoga classes flow as consistently as the hallowed waters. Pilgrims flock to temples. Visitors can surrender to ancient forms of medicine, find healing and be cleansed. Some are said to arrive in Rishikesh and never leave, losing themselves forever in the quest for enlightenment. (CNN)— Forget the forbidden fruit logo and the cult of Apple jokes. 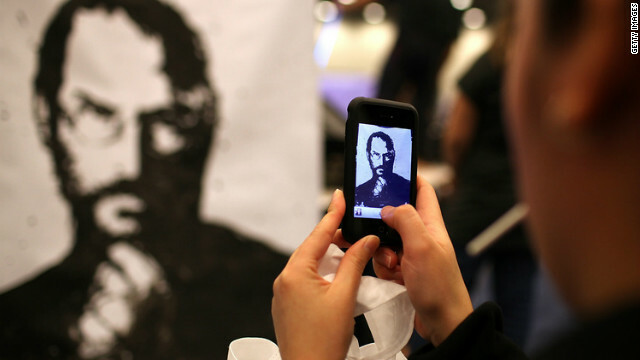 The legacy of Steve Jobs is anything but religious. Apple was conceived in the heady days of the counterculture movement. While Jobs and friend Steve Wozniak were busy hacking into AT&T’s long-distance phone lines from a Berkeley dorm room in the 1970s, the culture was awash in New Age experimentation and social unrest. Traditional institutions were under siege by idealistic youth rejecting what they viewed as mass-marketed delusions. At the top of the hit list was organized religion. When Jobs and Wozniak got the phone hacking device to work, their first call was to the Vatican. They proceeded to hang up on the pope’s personal secretary before he could connect the call to the Holy Father. Jobs the iconoclast relished the prank. Editor's note: Video produced by Brandon Ancil. Shot by Jarrett Bellini and Mandy Carranza. Text by Dan Gilgoff. Lobsang Tenzin Negi wears a lot of hats. He’s a former Buddhist monk who presides over a Buddhist monastery in - of all places - Atlanta, Georgia. He directs Emory University’s unique partnership with Tibet's government-in-exile. And he’s a highly regarded meditation teacher, designing meditation courses for much of the recent scientific study of the practice. Like many Buddhists, Negi insists that a person doesn’t don’t have to be Buddhist to benefit from meditation. Can people strengthen the brain circuits associated with happiness and positive behavior, just as we’re able to strengthen muscles with exercise? Richard Davidson, who for decades has practiced Buddhist-style meditation - a form of mental exercise, he says - insists that we can. And Davidson, who has been meditating since visiting India as a Harvard grad student in the 1970s, has credibility on the subject beyond his own experience. A trained psychologist based at the University of Wisconsin, Madison, he has become the leader of a relatively new field called contemplative neuroscience - the brain science of meditation. 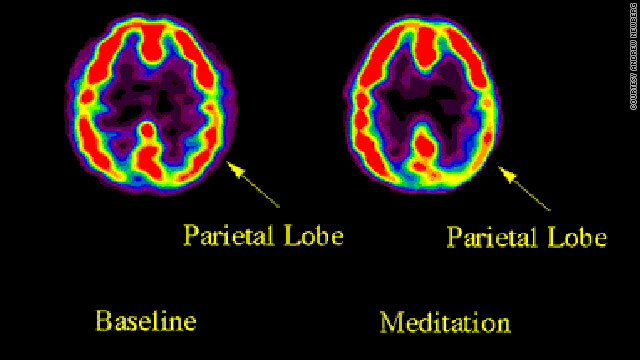 Over the last decade, Davidson and his colleagues have produced scientific evidence for the theory that meditation - the ancient eastern practice of sitting, usually accompanied by focusing on certain objects - permanently changes the brain for the better. Everyone has busy, stressful days and feels distracted by a multitude of tasks and obligations. Many people find stress reduction, as well as physical benefits, in meditation, as found in an ongoing study. Here's the low-down on what meditation is and how to get started. Meditation is training in concentration, mindfulness and compassion, says Sharon Salzberg, a meditation teacher and author who co-founded the prominent Insight Meditation Society in Barre, Massachusetts. It is not merely relaxing, but rather training the mind in specific skills.